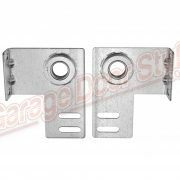 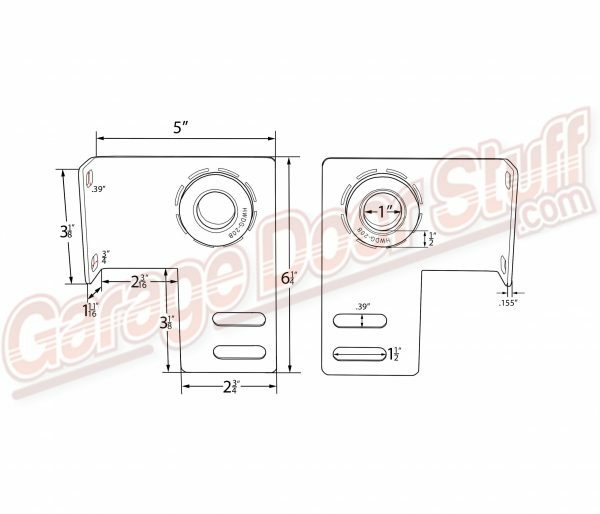 End bearing plate for torsion spring garage doors, can also be used for extension spring doors that utilize pulleys with some modification. Nice Robust & Stout bracket, mounts to jamb and door track eliminating the flex that you get with a flat bearing plate the mounts to the track only. 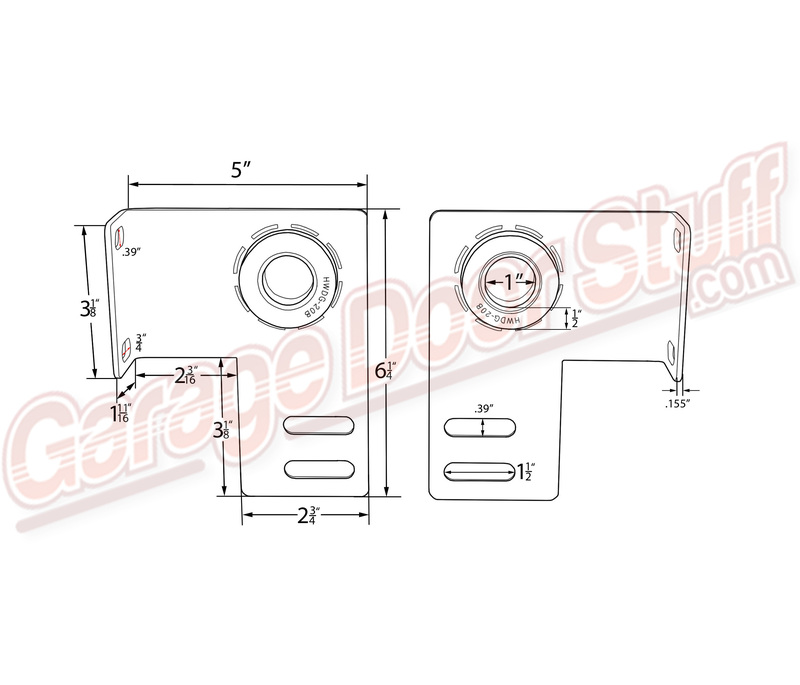 This is a vary versatile bearing plate that can be used in many different applications. 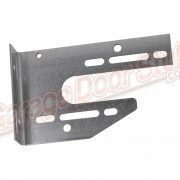 The fact that this bearing plate mounts to both the door track and to the jamb makes this a much better choice than a flat bearing plate. 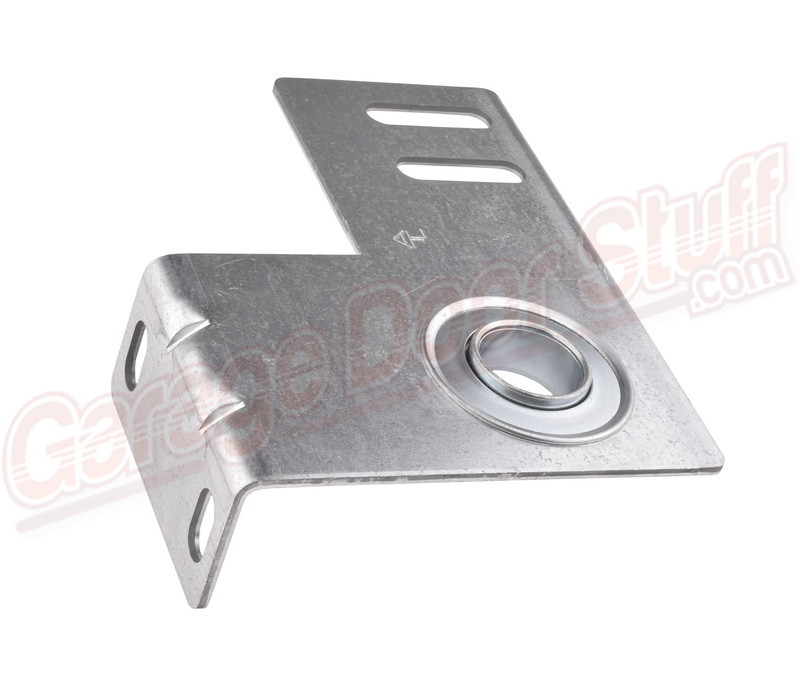 Flat bearing plated have there place but are not as solid and inflexible as this bearing plate when used as an end bearing plate on a torsion spring set up. 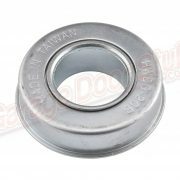 By bolting to the track and then fastening to the jamb both the shaft and the door track are given added rigidity. 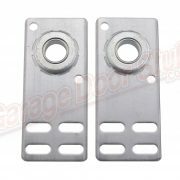 The dual row of slots at the bottom of the bearing plate makes these very versatile and and excellent choice if you have some custom work or tight confines. 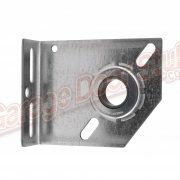 Typically these bearing plates can be temporarily installed in a manner that will allow you to make other adjustments on a low clearance situation before committing to cutting the bearing plate or track. 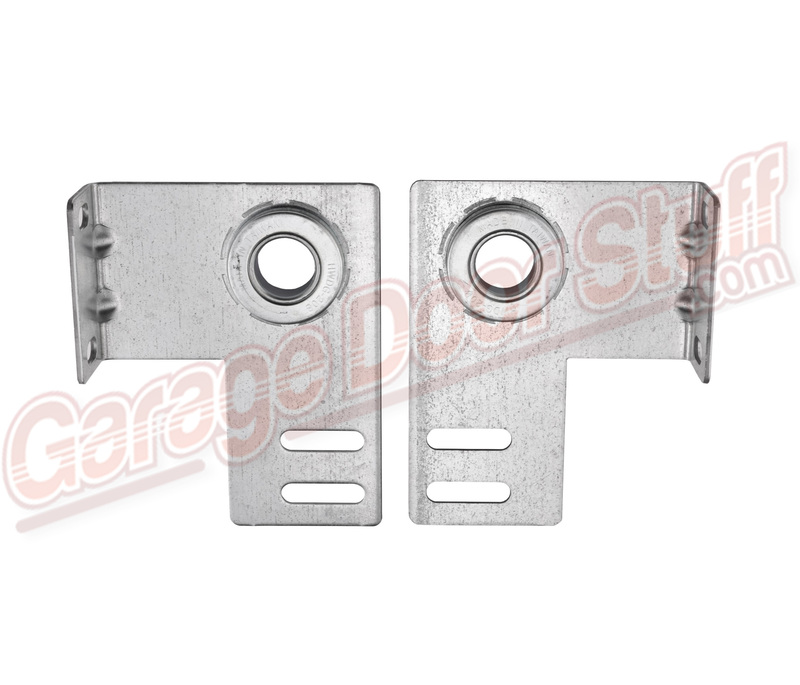 We use these a lot when we are mocking up garage door track for low clearance and also hi lift. 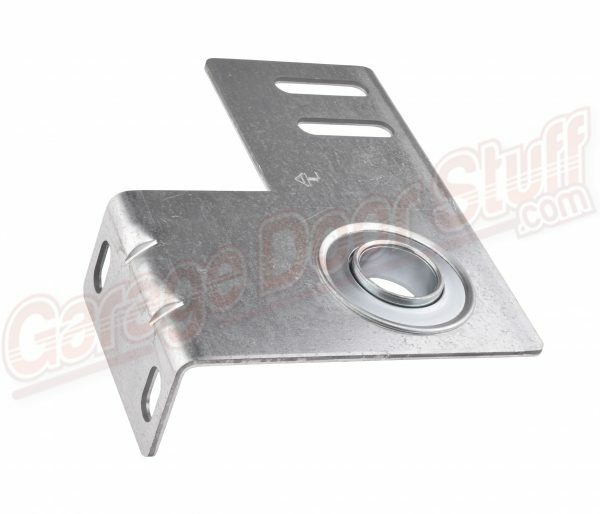 This is a good garage door end bearing plate to have on hand.